Apple may be looking into making the Apple Watch bands a little more high tech. A new patent filed by Apple notes the use of indicators on the Apple Watch band for things like the progress of fitness goals. The patent notes the band working in conjunction with the actual Apple Watch device. It discusses the fact that the Apple Watch itself has tech like a processor and sensors for tracking fitness, and the indicators on the Apple Watch band could show information based on data collected from those sensors. It’s important to note that the patent is a continuation of patents dating back to 2015 — so while the idea isn’t completely new, it’s clear that Apple is still working on the concept. The patent includes images that show relatively subtle indicators on the Apple Watch’s band. In the images, there are three thin LED lights, which could be used to indicate the Apple Watch’s “Move,” “Exercise,” and “Stand” goals. 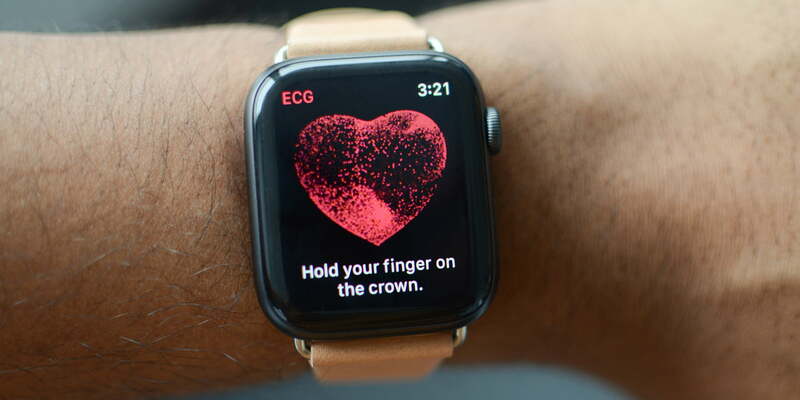 This way, you could see the information at a glance without waking the actual Apple Watch — which could ultimately help save battery, albeit only a little. The images show all kinds of different indicators, too. For example, the band could have fitness ring indicators, or indicators related to heart rate. Some indicators could also be included on the side of the band, instead of on the front, making for an even more subtle way to display information. Of course, rumors of Apple offloading some tech into the Apple Watch band have popped up a number of times over the past few years and there is still no guarantee that it will happen. After all, with anything in the band, it will become harder to use third-party bands or more fashionable bands. Bands with indicators like this may, in particular, benefit fitness junkies who want to be able to quickly see where they stand in their fitness goals without having to turn their wrist and wake the display of the actual watch. We’ll have to wait and see if Apple ends up adding indicators into Apple Watch bands, but at least for now we know the company is thinking about it. The next Apple Watch model will likely be released at some point in September, alongside the new iPhone.